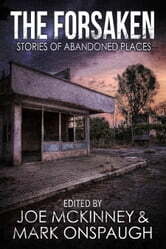 HORROR, FANTASY, and SCI-FI AUTHORS TAKE US ON A TOUR OF ABANDONED PLACES! The abandoned gas station, its pumps gone to rust. The once popular diner, now boarded up, its bright colors fading. A luxury yacht, adrift and alluring. An amusement park, once filled with the laughter of children, now a place of eerie silence. A church, a factory, a drive-in. Once hives of activity, now they stand mute, each one containing its share of memories…and secrets. 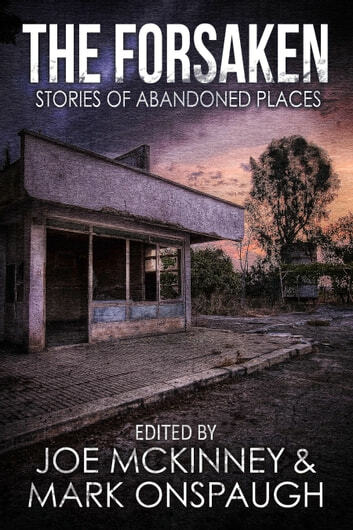 In this collection, editors Joe McKinney and Mark Onspaugh select twenty-two guides who take you to those places of barely glimpsed phantoms and uneasy mysteries, including contributions by Deborah LeBlanc, Harvey Jacobs, Gene O'Neill, Piers Anthony, Lisa Morton, and many others!